There is no possible way there is a policy that is less than $200/year that covers the same thing as other policies. My guess is that the $200 is the cost of the repatriation insurance but not the health insurance. Yes, that is my exact feeling also. You don’t get something for nothing. I am hoping by reading these messages my partner will also realize and search more deeply. I am absolutely not able to understand these things and must depend on someone else. I did read the site and it looks really good, but I get a very suspicious feeling that it is not what it is really alluding to. thanks SO much you guys. I value your feedback immensely! World Nomads cover looks great, affordable and good cover. My husband currently has insurance with WN for his current visit to the UK. 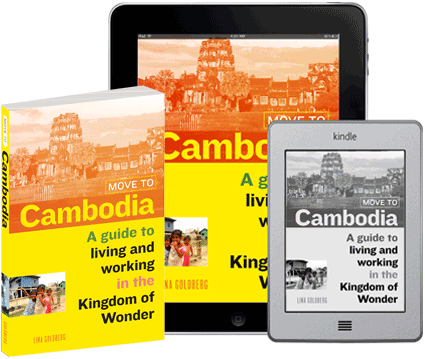 Will World Nomads cover still be valid for a year living in Cambodia? I’m concerned about the difference between travel insurance and expat insurance, specifically that a travel insurance policy could refuse to pay out citing the reason that you are an expat rather than a traveller if living and working somewhere. Particularly in my case as my husband is Cambodian and has Cambodian permanent residency. I and our daughter are British with permanent residency in the UK, will start and finish our trip in the UK. I will be working in Cambodia and my daughter will go to nursery/school. Will World Nomads cover be valid for us? If anyone can provide any feedback on our situation I’d really appreciate it?! My understanding is that WN (or any travel insurance) is not valid in the country you are a permanent resident of. Therefore, your husband’s policy would not be valid in Cambodia. It is up to you to decide what country you are a permanent resident of. If you’re on a regular one year visa, you are not considered a permanent resident of Cambodia by the Cambodian government. Since you have national healthcare in the UK and would be repatriated there if something terrible happened, I think signing up for WN with the UK listed as your country of permanent residence would make sense. I spoke to the owner of World Nomads and he said he wasn’t concerned about expats using the insurance for a couple of years, so I think it’s fine. Your husband will need to get a local policy, though, through Manulife, Forte, etc. If you do decide to go with World Nomads, I’d appreciate it if you’d use my link to sign up. Good luck! ps. If you tweet at @worldnomads you can usually get a response from the owner himself. It’s cheap because they will repatriate you if something terrible happens (once you are cared for and stabilizes) whereas a regular health insurance plan could be on the hook for months or years of rehabilitation, etc. Since you come from a country with national healthcare, it’s not an issue. For me, as an American, if I got repatriated with a serious medical problem, I’d be in trouble. Sigh. Hi again Lina, I have another question about the WN travel cover. It has a special clause about cover for moto accidents that you are only covered if you have the correct license to ride a moto in your home country… do you have any experience or knowledge about this? Did you take a moto test in your country? Thanks! Only a World Nomads representative can accurately answer your question, and I recommend that you contact them. International SOS has a health insurance plan that you may want to check on; I am doubtful that it will cover your husband, however, if he is a Cambodian citizen. Contact them, nevertheless, just in case they can cover you. I will ask a Soanish friend who lives here to give me the name of the company that insure him. Personally, i have health insurance through Cigna Global. 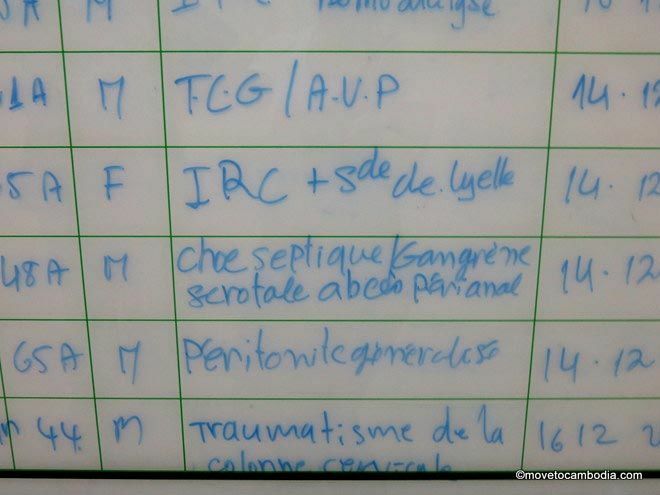 I would personally not recommend SOS — the SOS clinic in Phnom Penh offers care that is very inconsistent. In the horror story I link to in this post, SOS left my friend with a C3 fracture overnight with no care and then eventually took him on a bumpy ambulance trip without securing his head and body. Once at the Thai hospital they said he was lucky he wasn’t paralyzed because of it. Although I have seen a good doctor at SOS before (no longer there) I have heard so many horror stories that I wouldn’t go again. Cigna Global is a good recommendation. I compare some of the expat policies here. Thanks for that tip about SOS Clinic (now Raffles). I recently had a positive experience at Naga Clinic. I think I am like many expats and cover my usual medical expenses myself. I go to Pasteur Institute for immunizations, get checkups using my US- domestic policy when I return to the US once a year, and pay for emergency evacuation insurance in case I become seriously ill and need to be flown out. I am sorry to say but I have (and many others) had a bad experience at Naga, too! (All with the female Bulgarian doc) I had dengue and they sent me home without testing me. I have had good experiences with Dr. Scott in Phnom Penh, but I usually go to Bangkok for anything even slightly serious. Care is cheaper there and higher quality. Cigna Global is another good option if you decide to go down that road. You can get a quote and see how it compares. The age limit for a World Nomads policy is 70, so as long as your are under 70 at the time you purchase your policy and have no pre-existing medical conditions that exclude you from coverage you will be able to purchase one of their policies. What travel insurance would anyone recommend for someone of 67.? You need to tell people that World Nomads have an age limit (you must be UNDER 65 to qualify for their policies) regardless of anything else. Obviously, as I am 66 I will not be doing business with this company. Lee, the upper age limit is 70, not 65, with World Nomads. I last purchased a plan with them when I was 69, and it was valid for the term of my insurance, which was actually after I turned 70. I am a US citizen and searched for a satisfactory medical evacuation policy only. Now I am covered for one year by United Health Care Global’s Medex plan. The cost is around $380 annually. I will turn 71 during this year’s term. When I renew after that, the fee will be higher, but it’s not bad. 380$ p.a. is a fantastic quote. They quoted for me 2,340$ just now. However I am not US citizen or resident, may be they have very different pricing if you come from Europe. I am curious if I too can get a really working insurance at00by paying insurance premium close to the level you mentioned. I don’t think there is any way that a plan that costs $30 a month will cover anything. My plan with United Health Care Global is for emergency evacuation only. The cost is $380 per year. International SOS. They offer a membership and health insurance. You have the option of choosing medical evacuation insurance only, along with the membership. 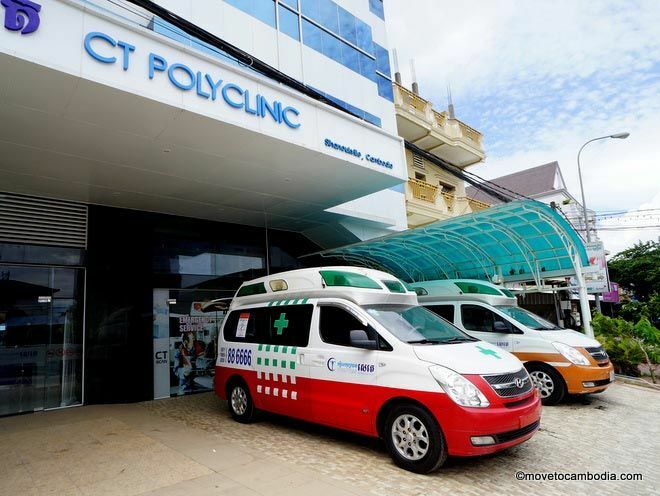 By the way, the SOS Clinic in Phnom Penh has changed its name and is now called Raffles Medical Group on Street 51 (Rue Pasteur). The issue with evacuation only is that you need health insurance in your home country, and if you get in a terrible accident you will still need care before you are sent home. For example, my friend ran up a $100,000 bill while getting stabilized to fly back to the UK, which would not have been covered by an evacuation-only plan. The other issue is that many plans will only evacuate you to the nearest country with good medical care, which would mean you don’t have to pay to get flown to Thailand (which can cost $20,000 in a hospital helicopter), but then you will be stuck in Thailand with no health insurance. Thanks, Lina. It’s true that a person can be stuck paying his/her own medical bills without health insurance. I recommend World Nomads for those people who are under 70. As for me, I have not been able to find a policy that will cover health insurance for me after turning 70 so I self-insure except for the emergency evacuation insurance. I DO have health insurance that will cover me once I am back in my home country, the USA — wish that insurance would cover me internationally! Hi Cathie, Apologies, I missed that you were over 70. The options are seriously limited and it sounds like you have made the best choice from what’s available. I was just trying to make the point that evacuation only is not a great idea for those who are just looking to save money but are eligible for something more, especially if they don’t have health insurance in their home country. I do wish you well and hope you will never need to use it. I am not a doctor but I understand if your medical emergency is cardiac related you can not fly at high altitudes and will need a helicopter. Not taking a copter to America. Suggest you consider Bangkok or Kuala Lumpur for a true emergency. With all insurance companies there are under writers looking for ways to NOT honor a claim. Might want to check with the American Embassy and seek their advice in a crisis situation. 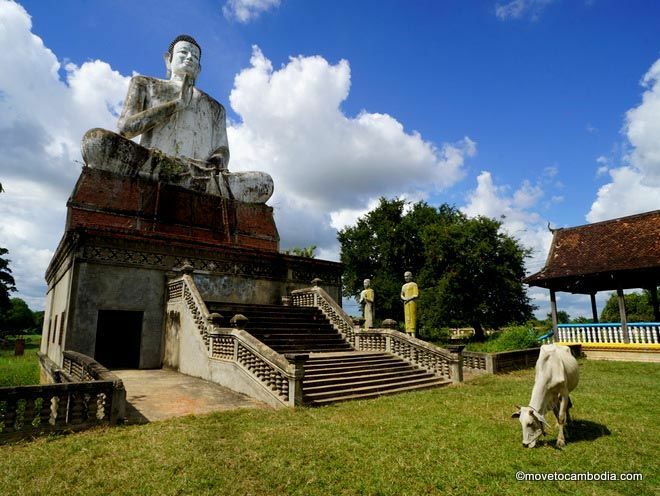 I can only share my personal experiences after living in Siem Reap for about 4 years. The real rip-off is the Angkor Hospital (managed by Bangkok Hospital) They want $80 just to see a doctor. By comparison Bangkok Christian Hospital on Silom BKK charges $20 just recently up from $15. I had a very serious case of conjunctivitis (eye infection) a couple of years ago and went to Angkor first, asked to see an eye doctor and told “we don’t have eye doctors, only doctors” OK bye. Off to the Eye Hospital which is part of the Siem Reap Referral Hospital. Except for the doctors and techs don’t expect a lot of English to be spoken. I was greeted professionaly, they filled out any papers for me, asked a few questions about whether it was an injury, did the standard vision exam with an eye chart. Sent me off to the cashier where I paid $10. Then I did wait but mostly because I did not understand the system and was too polite so people moved ahead of me. Anyway, saw a well educated doctor(trained in France and US)who did an exam and gave me a prescription for a drop, ointment and antibiotic and said come back in one week. Went back ,saw another doctor, who had my records and he upped the daily dose of antibiotic because the infection was taking too long to go away. Said, come back in a week. Went back and things had much improved but did get a 3rd doctor who was younger but just finished his residency in California. Very professional, said the infection is clearing up nicely, continue the meds and come back in 2 weeks or sooner if I wanted. In summary the hospital cost me a total of $10 for all the visits, yes TOTAL. Now the experience at U-CARE pharmacy was terrible. As with many, I went to them first for treatment. The “pharmacist” gave me a steroidal eye drop which I was later told by a doctor not to use as it can make things worse. Then I got an ointment to apply to the eye lids at a cost of $17. Well turns out the SKU was entered into their computer wrong and should have been $1.70. No my problem was not life threatening but can cause permanent eye damage if not treated properly. In summary the service at the hospital was far from shoddy and very far from expensive. That being said, insurance is always a good idea but keep in mind most ,if not all, will not cover pre-existing conditions. If you insist on riding around without a helmet or drink and drive you can forget your coverage so read the fine print. They will cover themselves in the tiny print and cover you in the larger print. Happy travels.